This is a lovely salad that I originally had in Montreal, at the Dominion Square Tavern, in the dead of winter in 2012. It’s a long way from New York so I had to make my own version. In a medium bowl, toss together endives, apples, chives with 1/4 cup of Maple Vinaigrette or more to taste, sea salt and freshly ground black pepper. 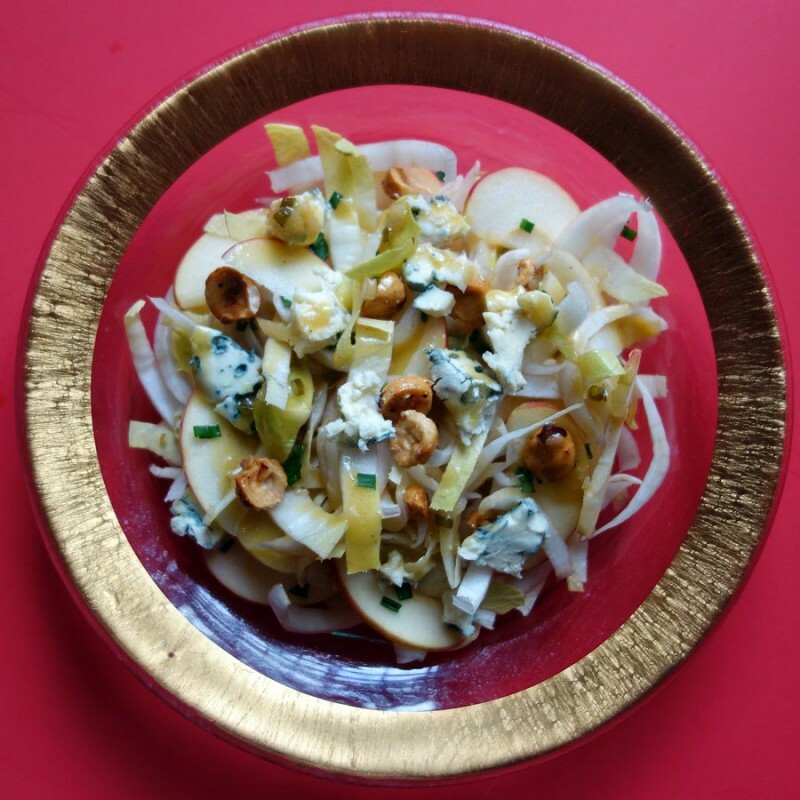 Top with blue cheese and nuts. You can substitute different nuts. I think the original version had pecans on it and walnuts would be wonderful too.